When it comes to surveillance cameras, visibility is key. Some of the obstacles surrounding a camera’s capability to retain clear images such as lighting, camera installation, and type of camera are somewhat within our control, others are not. Uncontrollable issues of extreme brightness, like light produced from headlights and the sun, or extreme darkness are not necessarily easily overcome. However, as with anything, technological progression helps change these harrowing limitations. As industry professionals our team at Perfect Connections, Inc. has been providing security system solutions, including surveillance, to organizations throughout northern and central New Jersey for over 25 years. We’ve seen the impact changing technology has on the equipment we install and how it can be beneficial to our customers. If you’re in the market for a security system a major component you’re probably considering is video surveillance. While doing a little research you’ve likely come across a plethora of surveillance options with various technological features. It may seem like a daunting task to choose the cameras that suit your needs, which is why you should always consult a licensed security systems professional. They’ll be able to assess the security risks associated with your facility and provide optimal solutions. Our team at Perfect Connections, Inc. has been providing comprehensive security systems to businesses throughout northern and central New Jersey for the over 25 years. We understand the process and can help you protect what matters most. 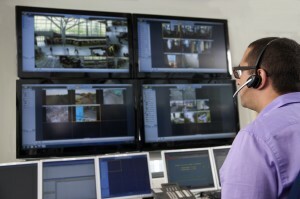 Our experts are knowledgeable in all aspects of security system integration including surveillance. Whether or not you’ve done your own research it’s likely you’ve heard or come across the term megapixel. What does that mean in regards to surveillance systems, and what are the advantages/disadvantages? To understand the relationship between megapixels and video surveillance let’s first figure out what megapixel means. A pixel is a “picture element residing on the image sensor (in a camera).” The quantity of pixels helps determine the resolution of an image. All megapixel cameras have a minimum of 1,000,000 pixels which means the image is comprised horizontally and vertically 1,000 x 1,000 pixels. In recent years there has been an increased demand for megapixel surveillance cameras over the standard definition cameras widely used in the past. Standard resolution cameras typically have a resolution of approximately 400,000 pixels. To get an idea of the difference between image resolutions the picture above shows three variations. The front image shows a standard resolution of 576 pixels, the middle shows an HD (High Definition) resolution of 720 pixels, and the last image shows an HD 1080 pixel resolution. While most consider all HD cameras to fall under the megapixel category Raul Calderon, senior vice president of marketing for Arecont Vision, says that HD cameras with a 720 pixel resolution are not technically a megapixel camera as the resolution only adds up to 921,600 pixels. A major difference between HD and megapixel cameras is HD cameras have to comply with set standards whereas megapixel cameras simply refer to the number of pixels. A major advantage to investing in megapixel camera technology is the ability to use less cameras to cover larger areas. 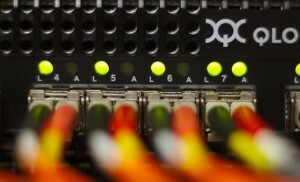 With standard definition IP (Internet Protocol) or network cameras coverage is significantly limited and typically requires more cameras and cabling. Megapixel cameras require less cabling and therefore the cost of labor and cabling is typically less than installing standard resolution cameras. The ability to digitally zoom-in on an image without losing clarity is another benefit of utilizing megapixel cameras. Megapixel recordings are clearer than standard resolution cameras therefore more consumers are storing footage for longer periods of time, which can be helpful in solving crimes. 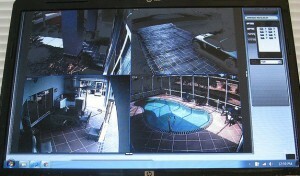 They decrease the need for constant live monitoring as the footage can be revisited with ease. Other benefits include a long lifespan, they conserve energy, and they are low maintenance. Megapixel cameras not only benefit the owner but different industries as well. With more quality recorded footage being stored the more the recording and storage industries will grow. As megapixel cameras become more ubiquitous, technologies used in conjunction with them will grow and change. 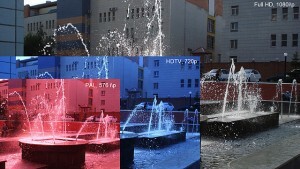 For example the types of video displays and lenses will likely become more developed. While there are many benefits to megapixel cameras the potential drawbacks include initial cost of installation and the challenge of keeping up with the fast paced technological changes. Fortunately, as these types of cameras become more widely used their pricing will be driven down. As far as technological advancements are concerned there will always be changes and improvements it’s a matter of security system experts providing ease of integration and updates. While you now have a little background on megapixel cameras and their advantages/disadvantages, it’s still imperative to contact a licensed professional for your security needs. They’ll be able to assess the specific security risks associated with your facility and which products will work best. Our team of experts at Perfect Connections, Inc. have been providing professional service to businesses and facilities throughout northern and central New Jersey since 1992. We understand the complexities involved in creating a comprehensive security system that is tailored to your needs. At Perfect Connections, Inc. our experts typically recommend a monitoring service as part of a comprehensive security system to help ensure its effectiveness. Our team of licensed technicians have been providing security solutions to businesses throughout northern and central New Jersey for over 25 years. The technological climate is ever changing and we always do our best to stay on top of relevant trends that will benefit our customers. As a security systems provider, our team at Perfect Connections, Inc. understands the importance of immediate action. Mere seconds can be the difference between prevention and disaster. We have been providing comprehensive security system solutions, which include monitoring services, to facilities throughout northern and central New Jersey since 1992. Every business has different security risks, which is why we tailor our solutions to fit your specific needs. If you’re in the market for a security system a major component you’re probably considering is video surveillance. While doing a little research you’ve likely come across a plethora of surveillance options with various technological features. It may seem like a daunting task to choose the cameras that suit your needs, which is why you should always consult a licensed security systems professional. They’ll be able to assess the security risks associated with your facility and provide optimal solutions. Our team at Perfect Connections, Inc. has been providing comprehensive security systems to businesses throughout northern and central New Jersey for the past 23 years. We understand the process and can help you protect what matters most. Our experts are knowledgeable in all aspects of security system integration including surveillance. Whether or not you’ve done your own research it’s likely you’ve heard or come across the term megapixel. What does that mean in regards to surveillance systems, and what are the advantages/disadvantages? At Perfect Connections, Inc. our experts typically recommend a monitoring service as part of a comprehensive security system to help ensure its effectiveness. Our team of licensed technicians have been providing security solutions to businesses throughout northern and central New Jersey for the past 25 years. The technological climate is ever changing and we always do our best to stay on top of relevant trends that will benefit our customers. How Do You Store Camera Footage? Can Central Monitoring be Replaced by Self-monitoring?